Automated Insights is the creator of Wordsmith, the world’s first public natural language generation platform. Wordsmith allows users to generate human-sounding narratives from data, making it easy to produce millions of personalized reports, articles and narratives in the time it takes to write just one. The Wordsmith platform helps companies in data-driven industries, including financial services, e-commerce, real estate, business intelligence, media and many others, achieve content scale, efficiency and personalization. More than 200 customers, including Allstate, Associated Press, Edmunds.com, the Orlando Magic and Yahoo! use Wordsmith to generate more than 1.5 billion pieces of content per year. 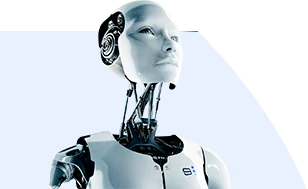 Technology Provider: Automated Insights is a provider of a natural language generation platform, Wordsmith, that converts big data into narratives or summaries understandable by humans. Last week, Goldman Sachs led a $30 million investment round into Persado, a company that offers AI-based copywriting and marketing services. Persado claims its system "outperforms man-made messages 100% of the time” in a process they call "persuasion automation." In other words, according to Persado's promotional video below, human marketers hardly stand a chance. Persado’s unique selling point is its ability to create and test the strength of words, phrases, and entire sentences used in marketing content. The company claims to have tagged, scored, and categorized some 1 million of these terms to determine their effectiveness in marketing copy. Backed by this database, Persado says its software can “effectively parse hundreds of thousands of ways to convey emotions” and apply those expressions to augment marketing campaigns. Thus, the software can alternate copy between feelings of safety, intimacy, and anxiety, depending on a client’s needs. (See below for their "Wheel of Emotions" infographic). This automated system enables the company to generate and test more texts than human-managed marketing departments, which tend to rely on individually created A/B test samples. For international clients, Persado boasts that its software can translate texts into 23 languages. Artificial intelligences are becoming better storytellers by the day. Last week, a novella written by an AI program nearly won a Japanese literary contest. “The Day a Computer Writes a Novel” (Konypyuta ga shosetsu wo kaku hi) is a surprisingly human tale of an AI that recognizes its writing skills and abandons its programmed task of aiding humanity in order to satisfy an artistic urge. The Japanese News reports (in an article that appears to be taken down at the time of this article update, September 2017) that this meta-novella and 10 other AI-authored submissions faced competition from over 1,400 man-penned manuscripts for the Hoshi Shinichi Literary Award.